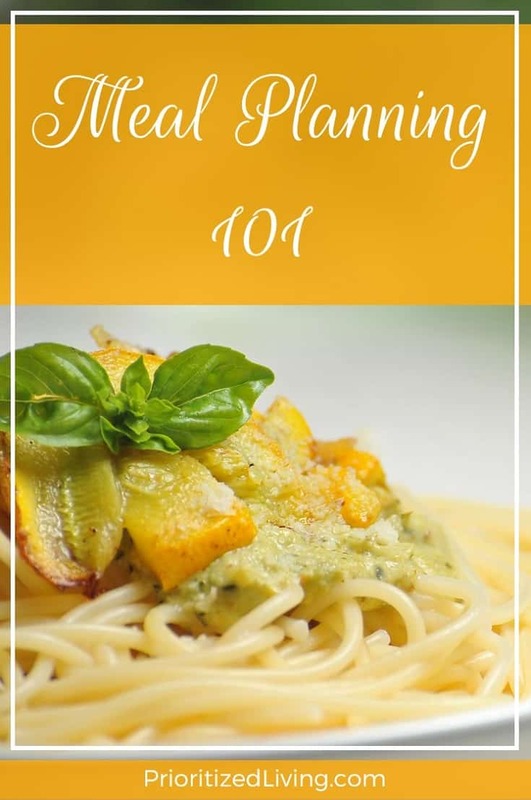 Meal planning isn’t just for the hyper-organized supermoms in our midst. It’s great for busy retirees, cash-strapped grad students, and savvy dads who know their way around a kitchen. In fact, any person looking to save money and time can greatly benefit in both areas with some simple steps. 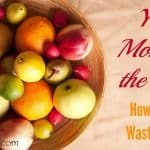 You’re throwing money away if foods you’ve already purchased languish until their expiration dates on the pantry shelves or grow mold in the back of the fridge. Have a look at items on which you’ve stocked up (especially if they’re nearing their “best by” dates) and choose go-to meals that use those ingredients. Plan to use canned tomatoes for a weeknight pasta sauce or the remaining slices of American for grilled cheese sandwiches. If your local grocery stores don’t mail you their weekly ads, find them on the supermarkets’ websites or pick one up the next time you visit the store. (Next to the pile of the current week’s ads, my local store has a handy pile of next week’s ads for me to grab during my shopping trip.) Cashing in on sale-priced items is a quick and easy way to choose low-priced ingredients to use in the coming week’s menu. Plus, you can take advantage of discounted non-perishables and freezable foods by stocking up during the sale. Make a realistic meal plan. Scheduling your meals is a lot like scheduling your time in that you want your plan to be doable. (Otherwise, what’s the point?) Before matching meals to days of the week, consider both your schedule and your expected energy levels each evening. Identify days that require extra-quick meals on account of late hours at the office or evening sports practices. Keep in mind which days you’ll be eating away from home — maybe for a party or date night. Alternatively, you can plan to repurpose food you make — perhaps taking last night’s leftover chicken breasts and using them in tonight’s quesadillas. You can even freeze most foods for several months and reheat or cook them later for super-fast meals. Consider all of these options when writing down your meal plan for the week. Don’t forget breakfast, lunch, and snacks. The same rules apply for your family’s non-dinner eating times. Plan out those foods as well, even if it’s just a matter of checking your supply of your kids’ favorite cereals and snacks. 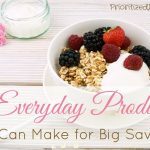 Take advantage of your existing food supplies, weekly sales, and simplifying your food preparation in the same manner as you would with dinner. Using the recipes for your chosen meals and selected items from your food ads, create a shopping list. 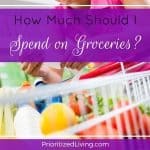 To save time every week, organize your list by supermarket aisle. You’ll be able to run through the items on your list in order as you zip around the grocery store. Invariably, a wrench will get thrown into your perfectly-planned week of meals. 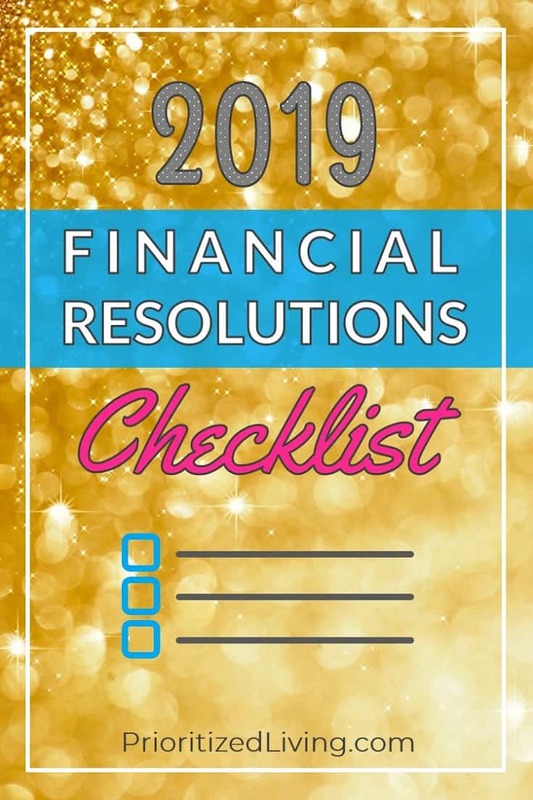 Everyone in your family will come down with a bug, a last-minute event will be added to your schedule, or you just won’t be feeling whatever you’d planned to make for dinner. For days like those, have a handful of back-ups ready to go. Boxes of dried pasta or rice, jarred or frozen sauces, frozen portions of cooked and shredded chicken, bags of frozen vegetables, fresh or frozen breads (sandwich breads, rolls, or tortillas), deli meats and cheeses, cans of soup, previously made and frozen meals that you can pop into the oven or microwave — items like these are all great options for whipping up a quick, last-minute dinner. 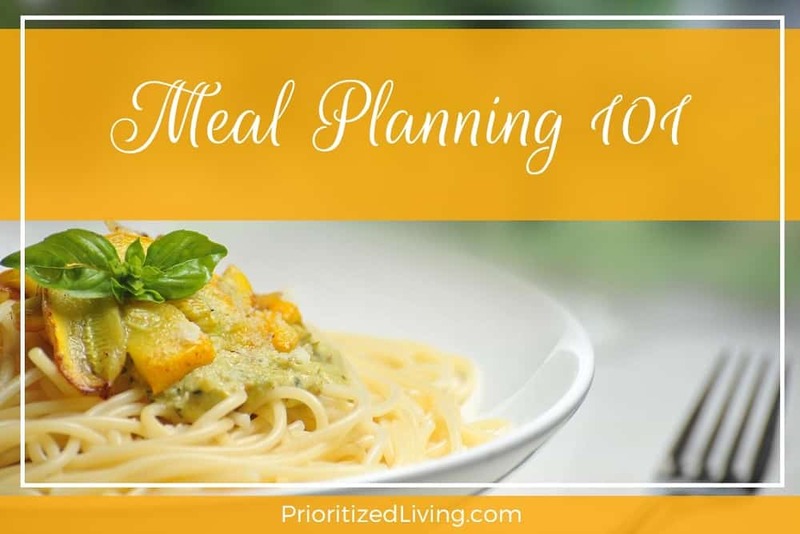 How have you streamlined your meal-planning process?